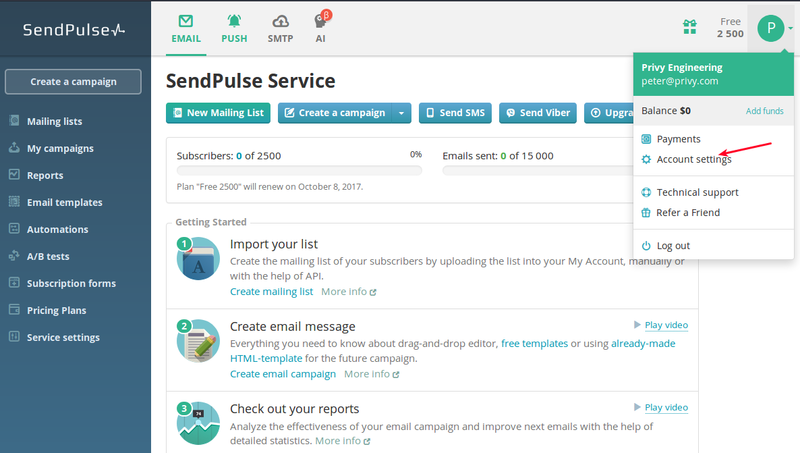 To sync contacts to SendPulse, enable the REST API in SendPulse to get the necessary API keys. 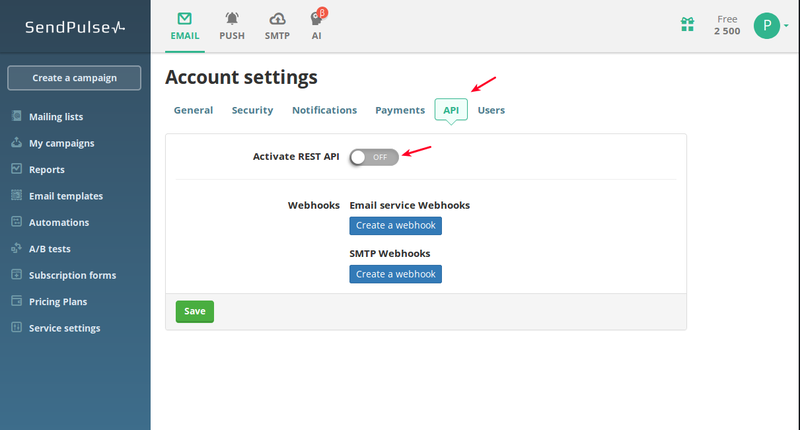 In the Privy dashboard, navigate to linked accounts. 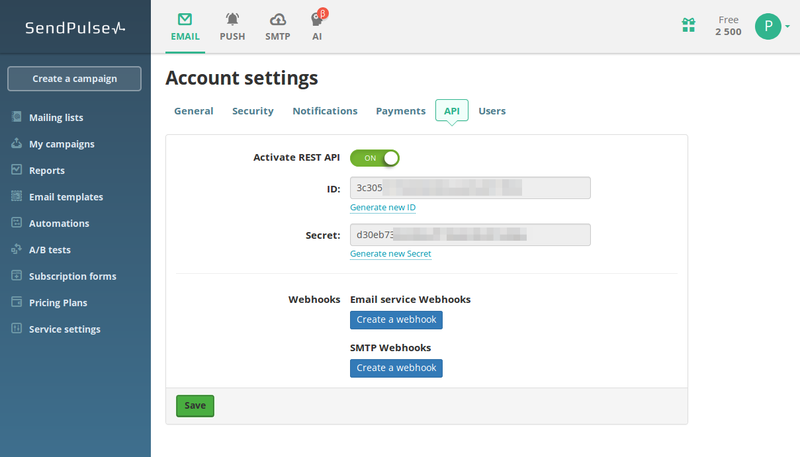 Under available integrations, find and click on SendPulse. In the modal dialog that appears, copy your Client ID and Secret from the previous step into the respective fields. Click Link Account to save your changes. Now navigate to a campaign in your Privy dashboard. 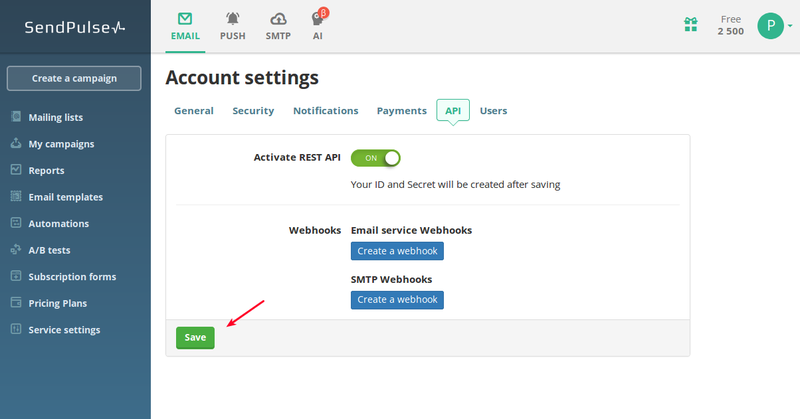 On the campaign’s Automation settings (all the way at the right), click the "+ New Rule” button and choose which account and list you want to sync new signups to. That's it! New contacts who sign up to this campaign will automatically sync to SendPulse.